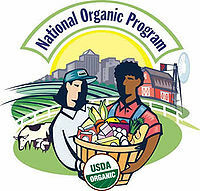 Participate in the Organic Process – The National Organic Standards Board needs you! I believe that organic is THE gold standard of food, textiles and farming. There is no food system in the United States that provides as many benefits to the planet and the people. It is also the most transparent, vigorously discussed and rigorously evaluated food system we have! Regulated and administrated by an office within the USDA, the National Organic Program (NOP) does yeoman’s job of managing the organic process. They keep the standards alive and relevant, always seeking continuous improvement by relying on the National Organic Standards Board (NOSB) to give them recommendations. The NOSB members are appointed by the Secretary of Agriculture, and are comprised of various members of the organic community. There are four farmers/growers, three environmentalists/resource conservationists, three consumer/public interest advocates, two handlers/processors, one retailer, one scientist and one USDA accredited certifying agent. The mix was chosen to represent the industry in a balanced way. The NOSB recommends whether substances should be allowed or prohibited in organic production or handling and assists in developing standards for substances to be used in organic production. Additionally, it advises the Secretary of Agriculture on other aspects of the organic regulations. Twice a year this board of industry representatives (NOSB) meets in a public venue to discuss the regulations and standards. They in turn rely on YOU, dear reader, to be involved, know what is on the agenda and send them your comments. Heads up, the time is nigh for the next meeting and the NOSB needs you now! The NOSB’s next public meeting will be in Louisville, KY from October 28-30. The tentative meeting agenda (PDF) is now available along with the meeting materials (all proposals and discussion documents) (PDF). Study the documents and if you have a stake in or opinion on any agenda items it’s your right and duty to make a comment. The deadline to register to make in person comments or written comments is October 7, 2014. Mark your calendar; get your reading glasses on and make your finger nimble. Making comments is critical to the process! When big changes in organic production are debated and there is no community voice, the discussion falls apart. I have witnessed several meetings where large issues illicit very few comments to the board. They need to hear all sides of every agenda item! For the Board to review comments prior to the meeting, comments must be submitted via Regulations.gov NEW by October 7, 2014 11:59 pm ET. The NOP must receive requests for oral comment speaking slots by October 7, 2014 11:59 pm ET. Reserve an in person oral comment slot. Get inside and be part of the conversation with your National Organic Program and the National Organic Standards Board. If you make your living in organic food, or if you are an organic food and textile advocate, it is your organic moral responsibility to be informed. Keep abreast, get involved, speak up and speak often. The transparency of this great label is only as good as the members of the community who participate in it. To be an organic insider and sign up for their newsletter CLICK HERE. This entry was posted in What is Organic and tagged National Organic Program, National Organic Standard Board, USDA. Bookmark the permalink. Comments are not limited to US stakeholders. Anyone in the world involved in organic agriculture or trade is able to make comments. The NOP welcomes input from everyone. Tell me how you are involved with organic. Are you a producer? beginners. May you please lengthen them a little from next time? therefore I just use web for that purpose, and get the hottest news.